The 12 day Tanzania safari package is design to showcase the very best Tanzania has to offer by way of tourism in such a short time. 12 days are not even close to the amount of time you would require to exhaust the wonders of Tanzania, but it is a good start. Day one is for arrival. 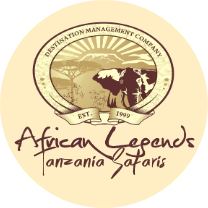 You will be welcomed into Tanzania by one of our representatives and transferred to Arusha, where you will spend the night in one of the tourist towns many lodges and get ready to start exploring Tanzania. first stop is Tarangire national park. on day two and three you will go on game drives, nature walks, hikes and explore the beauty that is Tarangire national park. This park is known for its rather large herds of elephants and buffaloes. A night game drive should add the excitement and adventure of day three, before moving on to your next stop. early on day four you will be transferred to your next accommodation preferably in the Ngorongoro area, because you will be exploring the conservation area. You will descend into the crater for a game drive; see the thousands upon thousands of wildlife on the floor of the crater. Take pictures, see the animals up close, enjoy a picnic lunch on the floor of the crater and enjoy Ngorongoro conservation area. After seeing the wonders of the Ngorongoro crater you will move on to explore Lake Manyara national park on day 5. You will also get some time to visit and explore the nearby villages and be exposed to some of the culture of the Africans living the area. these three days spent seeing the sights and sounds of the Serengeti are totally worth it. You get to follow the movements of the annual wildebeest migration , take some very amazing pictures of the animals crossing the crocodile infested waters of the Mara river. It’s a feeding frenzy of carnivores, herbivores, scavengers, and everything in between. It’s the African wild at its best. You will go on game drives in different sections of the Serengeti. There is something new and spectacular to see in every part of this world heritage site. Serengeti national park pretty much sums up the African wilderness. 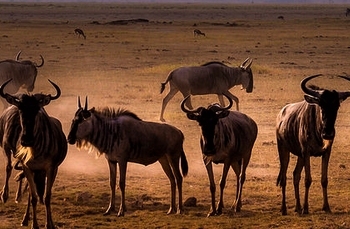 You haven’t fully had a Tanzania safari experience if you haven’t visited the Serengeti. Tanzania safaris aren’t only about wildlife and exotic plants, and mountains. There is the ever magnificent African sun and beaches on the Indian Ocean to enjoy. Classic holiday relaxation on the shores of the Indian ocean. After game drives, nature walks, and exhausting exploration of the wild you want to enjoy a more relaxing part of Africa. So days 9 through to 12, you can enjoy the sun and the beaches, visit craft markets, and spice markets, and village visits. Relax and enjoy, and make more memories.